American Elements supplies raw materials at several stages of the automotive production process. Customers include Toyota, Ford, GM and many other manufacturers as well as many Tier 3 suppliers. We have implemented several QS9000 agreements with manufacturers and participate in LEAN Sigma analysis of production processes. American Elements is in full compliance with REACH in order to meet the needs of our European manufacturers. 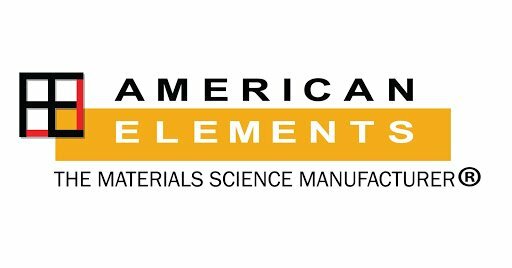 American Elements now supplies major other electric and hybrid manufacturers with magnetic and energy storage materials to meet the needs of non-combustion alternative energy vehicles. The discovery of the neodymium iron boron (NdFeB) high-strength permanent magnet by the Delco Remy division of General Motors in the 1980s revolutionized numerous industries, from automobiles to medical imaging to aerospace. However, magnet manufacturers began generating large volumes of scrap neodymium iron boron alloy from their production plants. Given the expense of the rare earth bearing alloy and the environmental impact of simply disposing it in a landfill, producers sought some way to recycle this valuable scrap material. Simply re-melting and reusing scrap alloy produced a substandard magnetic material. American Elements was first approached by Mitsubishi Materials of Japan to see if we could develop a process to recover this valuable asset. American Elements researchers first confirmed that in its present form, NdFeB scrap could not be reprocessed to produce an acceptable magnetic alloy. A strategic plan was designed to research if a cost effective process could be designed to extract the rare earth components from the scrap for reuse. The alloy also contains valuable dysprosium, so a further challenge was extracting both the neodymium and the dysprosium in a usable form. To meet the needs of this rapidly growing industry, American Elements researchers developed a proprietary inorganic acid-base extraction scheme to recover the neodymium and the dysprosium in a high purity mixed rare earth chloride solution which could be further processed into a mixed rare earth fluoride; the starting material for producing virgin NdFeB alloy. The neodymium and dysprosium could also be separated in the chloride form using solvent extraction. After developing the basic technology, American Elements went on to engineer and build a full scale NdFeB magnet scrap reprocessing and rare earth fluoride manufacturing facility producing rare earth fluoride on a commercial scale. This American Elements owned facility has since produced tonnage quantities of recovered neodymium-dysprosium fluoride.